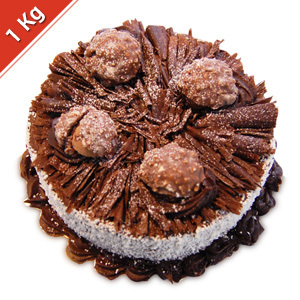 Pamper your loved ones in all cities in India, by sending them this beautiful eggless Ferrero Rocher Cake from Krazy for Chocolates, a trusted name from Kolkata Bakeries. 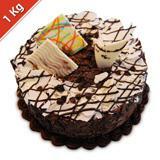 The cake is decorated with loads of chocolate chips, rice krispies, white chocolate and four Ferrero Rocher chocolates. 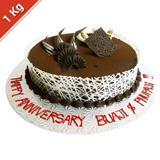 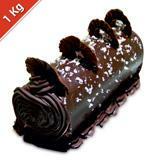 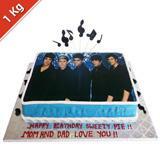 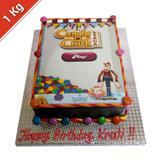 With the trustworthy online gifting portal GiftsAcrossIndia.com, you can easily send this cake as Gifts across India.